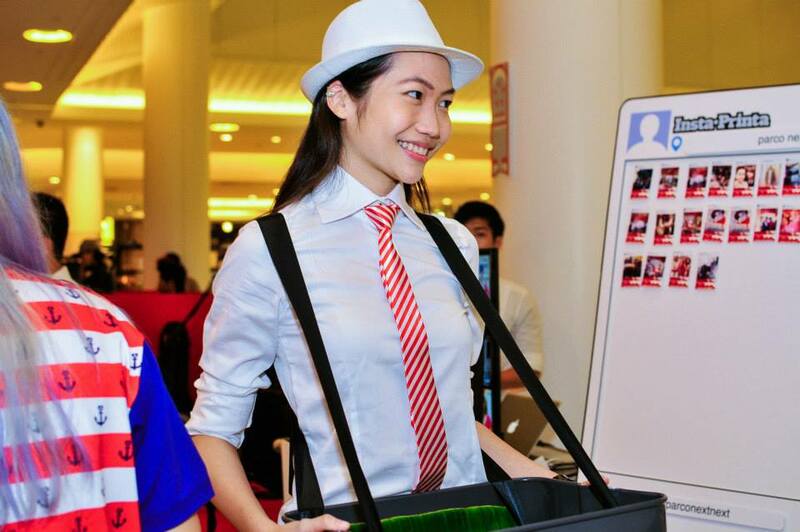 What would you design if you are given the task to come up with the new collection of Singapore Pride? 21 PARCO next NEXT designers took on the challenge, using the most basic staple found in everyone’s wardrode, to present a limited edition t-shirt that represent their interpretation of this nation. It was a pre-birthday party like no one, as I was treated to a night of fashion show, music, champagne and nostalgic bite size treats at the launch of Nation Pride at PARCO next NEXT on 2 August 2013. Furthering the theme of all things local, retro Singaporean treats were served by dolled up Snack Studs and Candy Chicks. “We are celebrating National Day with Pride and Passion. Our young emerging designers came up with an exclusive Tee, inspired by our great Nation. For the first time, 6 of our PARCO next NEXT alumni designers are also invited to show along with the current designers. 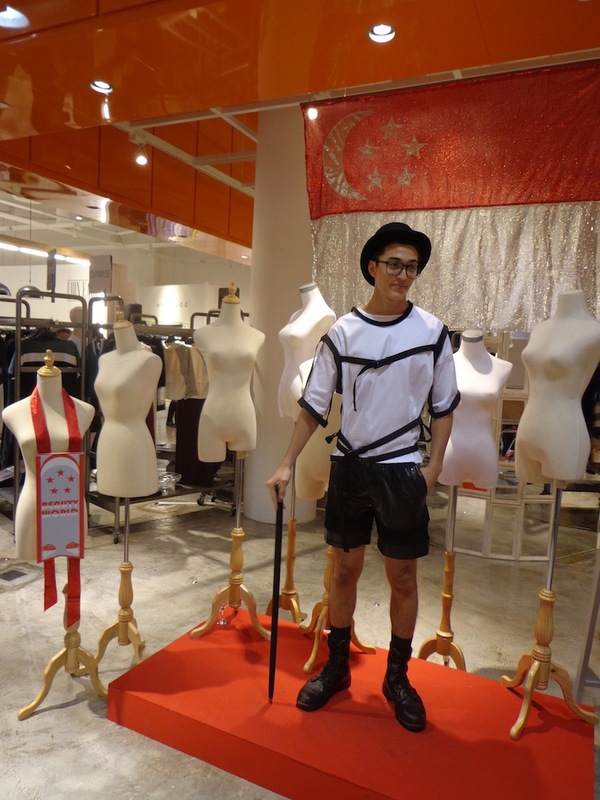 The cool and eternally hip T-shirt best symbolizes Singapore Style!” said Mr David Wang, Project Advisor of PARCO next NEXT and Chairman of the Designers and Retailers Group, Textile and Fashion Federation, (Singapore) (TaFf). Using white, the color of purity, clarity and virtue. The white cotton top from Lion Earl is inspired from the rectangular outline of the flag with the addition of cut-out sleeves. Designed for the modern woman, one who is strong, capable and confident, the feel of this top portrays a slight military and armor-shell like look to celebrate Her growth throughout the years. “Singapore to us is a women with strong determination that will keep going forward. She is our home and shelter from which we grew along with her throughout the years.” said Lionel Low, Creative Director of Lion Earl. The iconic Merlion is reinterpreted on an embellished T-shirt by Foreword. 20:TwoThree and KaeHana took a trip down memory lane by re-imagining the Good Morning towel and White Rabbit Milk Candy (respectively) from our childhood. Mash-Up once again displayed their distinctive sense of humor with a hand-drawn map of local hunts. WSDM’s black T-shirt in camouflage print is inspired by the designer’s days in National Service and evenodd’s T-shirt reflects the various Singapore landmarks from the new (Marina Bay Sands) to the heritage (Kampong Glam & HDB, etc). These limited edition customized T-shirts are available at PARCO next NEXT (Level 2, PARCO Marina Bay) and on sale while stocks last. Head down to the store before they are sold out by this weekend! This entry was posted in Entertainment, Events, Fashion, Preview and Launch, Shopping, Singapore and tagged 20 two three, 20 twothree, 20twothree, candy chick, clothing, david wang, evenodd, fashion, fashion show, Foreword, good morning towel, kae hana, kaehana, lai sau kuen, lion earl, mash up, merlion, nation pride, national day, national day parade 2013, national pride, ndp 2013, parco marina bay, parco next next, parco next next fashion show, singapore, singapore costume, singapore design, singapore designers, singapore pride, singapore style, singaporean designers, snack stud, style, TaFf, textile and fashion, white rabbit milk candy, wsdm. Bookmark the permalink.